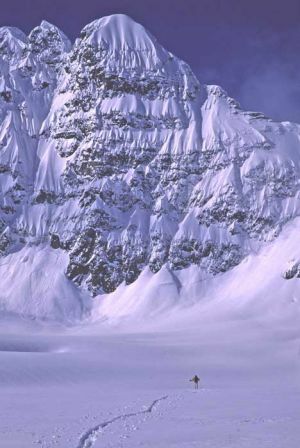 This peak is #35 in Prominence List for British Columbia .Located in the Howson Range, on the divide between the Telkwa River and Kitimat River. The first ascent in 1958 followed an attempt a year earlier by Rex Gibson, which resulted in his death. Name Notes: Peak was named after John Howson, a prospector and teamster in the Telkwa area in the years after WWI. There is also a Howson Creek. (Source: Christoph Dietzfelbinger, UIAGM guide since 1981.